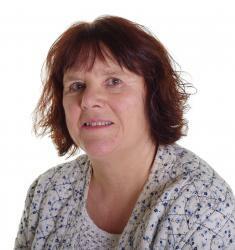 She was presented the Building Wales Award at the annual Womenspire Awards in Cardiff on June 5. The awards are facilitated by Chwarae Teg, a charity that promotes gender-equality, and the annual Womenspire event celebrates the achievements of women in all aspects of Welsh life. The Building Wales category focussed on women studying and working in the science, construction, technology and engineering sectors. It celebrates those women who are building Wales through advancing in their own career journey and making a real difference to their own sectors in Wales. Also nominated in the same category was Dr Yueng-Djern Lenn of Bangor University’s School of Ocean Sciences. Bangor University is committed to advancing women's careers in science, technology, engineering, medicine and mathematics (STEMM), principles which are embodied in the Athena Swan Charter initiative. The University has achieved the Bronze Award and is committed to improvement. The Athena SWAN initiatives and projects address and benefit both staff and students.